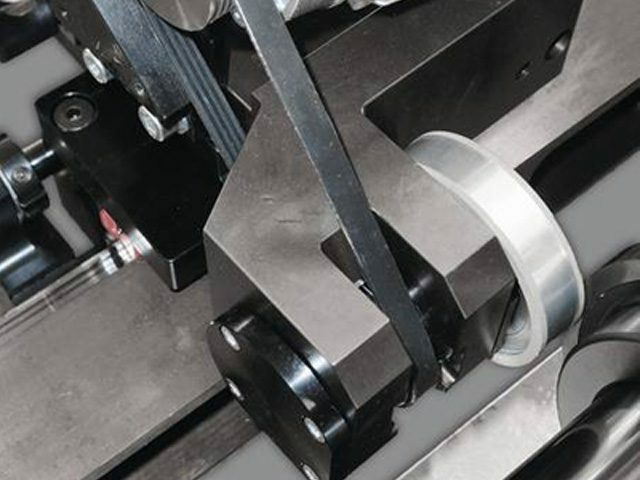 The roller cutter grinding unit is made for most precise cutter sharpening on slitters. The solid built unit, cast iron base frame an preloaded linear ball bearing units, can be adapted to most slitter brands. Grinding spindel in high precision bearings P4 class is used for highest quality.